Melbourne greeted us with some 43C heat, which actually was quite welcome after the last few cold days in New Zealand. 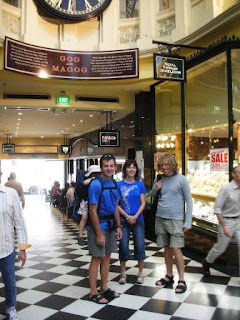 We’ve been to Melbourne a few times before and this time again we stayed with our good friends Katrin & Bendon. After spending the last week camping we were grateful for a proper bed and a roof over our heads. We had a fantastic time in Melbourne, not having to rush around to see everything. 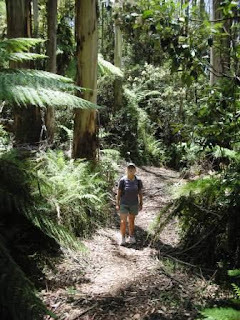 On Saturday Brendon & Katrin took us for a short 13km trek to Stevenson’s Falls near Merysville. The walk was relatively easy, but the scenery was so beautiful. Somehow since the last 2 visits to Australia I’ve really grown to appreciate the rugged countryside here. On Sunday we took two of Brenon’s bikes and went for a ride around Melbourne and down to the St Kilda beach for lunch. On the way I’ve managed to get us lost about 3 times and we ended up doing about 15km extra – needles to say Alex wasn’t amused. On Monday Alex’s brother, Daniel arrived and Katrin took us all for a walking tour around central Melbourne. We’ve seen a lot of old interesting sites that we’ve never seen before – it makes such a difference being shown around by someone local. 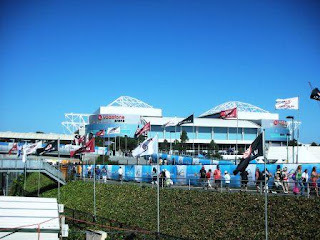 In the afternoon we went to Melbourne Park to see the opening day of the Australian Open Grand Slam tennis tournament and I’ve also managed to sneak out for an hour to see the 2XU (our new triathlon sponsor) concept store. After having enjoyed Melbourne food, wine and sights it was time to leave and make our way down the Great Ocean Road and then head inland to the Grampians and onward to Adelaide. 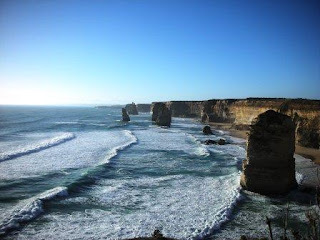 Great Ocean Road has to be one of the most spectacular drives along the ocean in the world. Last time when we did it we drove from Adelaide to Melbourne, but this time we reversed it, which in my opinion somehow makes it even more spectacular. 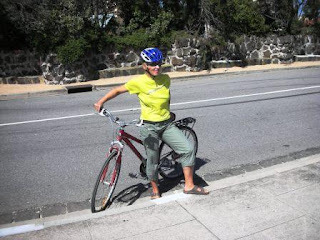 One day I’d love to ride a bicycle from Melbourne to Adelaide, or eve better Ocean to Ocean from Sydney to Adelaide. 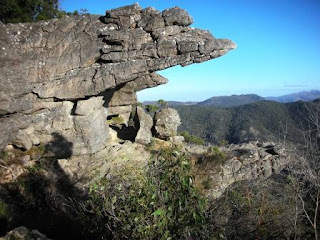 Unlike last time we had perfect weather in Grampians and were greeted by Wallabies hopping allover the campsite. In the evening we went to the Aboriginal museum and did a short walk to the platforms view point. 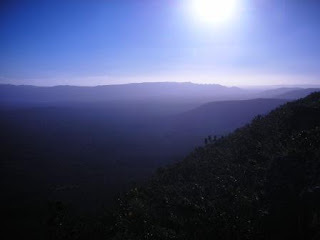 In the morning we woke up early and did the 5km walk to the Pinnacle before driving to Adelaide. I can’t believe that you have 43C over there!!! Of course, I am used of that but it always makes you feel nice when you hear it in the middle of winter (here in Europe). All these activities are great but have you considered Skydiving? I read that it is a great fun but I am not sure how Alex will take it!!!!! Not that I would ever do it!!!! EVER!!!! But never say never!!!!! Don’t forget to try Greek food over there in Australia. Try Kleftiko and tell me who makes it better!!!!! I think nothing will beat the kleftiko that your mom makes - we always will be remembering the one you served us for breakfast in Athens.